Amazon has made their new in-app purchasing program official. We first reported about Amazon testing the program early last month. Like apps downloaded from Google Play or the Apple App Store, apps designed for the Kindle Fire will be able to process payments from within the app itself. This will allow shoppers to buy an app, buy enhancements/extras to an app, or even app subscriptions, without leaving the app. Amazon’s app store is growing by leaps and bounds. In March of 2011, when it debuted, there were about 4000 apps (that was prior to the launch of the Kindle Fire). Now there are approximately 34,000. That’s way behind what is currently offered for Android devices – there are over 450,000, and Apple – over 600,000. But Amazon is hoping to attract more developers with it’s in-app purchasing platform. In-app purchasing provides app developers with a higher conversion rate. 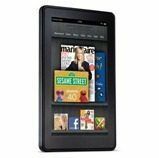 By increasing the earnings potential, Amazon will encourage more developers to design their apps for the Kindle Fire. Amazon will make more as well, they get a 30% cut of the in-app payments. Some of the earlier adopters of Amazon’s in-app purchasing platform include Adobe, the New York Post, Mobile Deluxe (maker of app games including ‘The Game Is Afoot,’ and ‘Addiction’), G5 Entertainment (maker of several ‘Virtual City’ games and ‘Success Story’), and Storm8 (maker of app games including ‘iMobsters,’ ‘Racing Live,’ and ‘World War’).